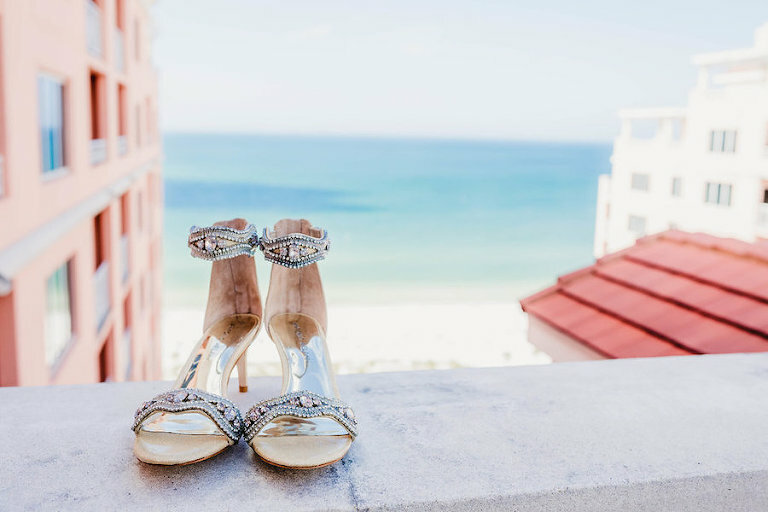 Allison and Chris’ rooftop Clearwater Beach wedding featured sweeping views of the Gulf of Mexico and a beach theme with a touch of elegant details. 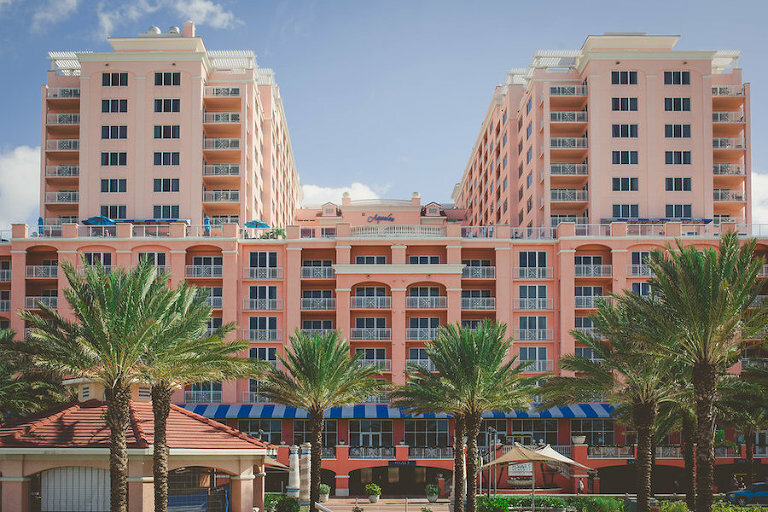 The Tampa bride and groom searched for a Clearwater Beach wedding venue that offered a private ceremony, amazing waterfront views and full service amenities. 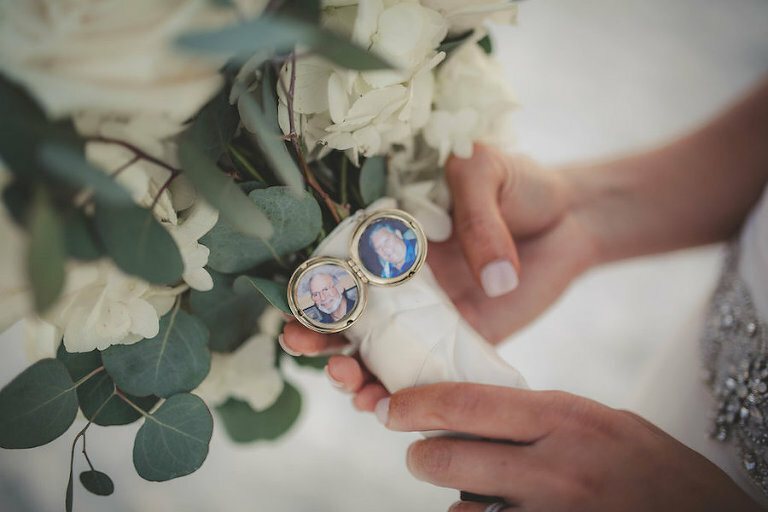 Looking back, the bride reminisced that one of the main factors in ensuring she had a great wedding day was because of her venue and their exemplary service. 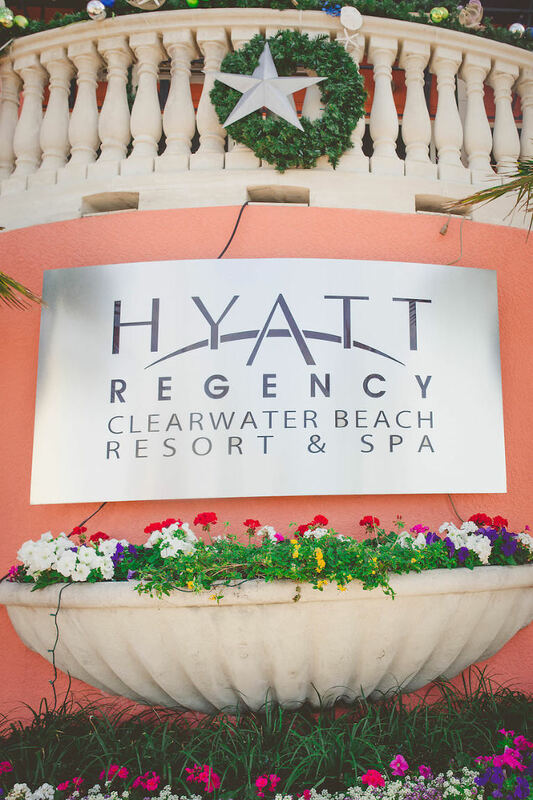 “The Hyatt Regency Clearwater Beach really went above and beyond. I am not kidding when I say everything went perfectly! The coordinators at the Hyatt are truly the reason why I was so cool, calm and collected on our wedding day,” the bride reminisced. I wanted a wedding venue that was more that just a room to rent. It was important that we were offered catering, bar services, cake, tables, chairs, candles, linens, etc. Ultimately, it’s fewer vendors that you have to hire. While we still hired other vendors, it was comforting to know we had some accommodations offered by our venue if we chose to use them. I was desperate to find a rooftop terrace that had the incredible views of a beach wedding without my guests being in the sand. The Sky Terrace at the Hyatt Regency Clearwater Beach was absolutely breathtaking! A private ceremony was extremely important to me. With the Sky Terrace we really had the best of both worlds! I cannot say enough about the service we received at the Hyatt. They really went above and beyond. I am not kidding when I say everything went perfectly! The coordinators at the Hyatt are truly the reason why I was so cool, calm and collected on our wedding day. Our guests continue to rave about their experience at our wedding. It was a seemingly normal Saturday afternoon. Chris was out of town for the day. My best friend and I had made plans to try out a new spa for a mani/pedi. For reasons I cannot explain, I sat at home waiting for Stephanie to pick me up with a strange feeling in my gut. Like, is something up?! She was a little late picking me up, which only added to my suspiciousness. When we pulled into the parking lot of the nail salon, she handed me an envelope marked “#1.” Inside, I found a letter from Chris. I read it through tears and nervous laughter. The last sentence was a clue for our next location. We went inside, sipped champagne and enjoyed a much needed spa day. Then, my awesome friend drove me around Tampa on this crazy scavenger hunt. At each location, there was a friend there with my next clue. In the end, I found Chris on the sand of Redington Beach, where we had one of our very first dates. After the proposal, tears and kisses, he told me to turn around where my family was standing, cheering loudly. It was so incredibly sweet and thoughtful! I wouldn’t say we had a theme, but we knew we always wanted to get married at the beach. Definitely not nautical by any means, but a certain beach-y elegance. We wanted something timeless and traditional, while also representing our relaxed style. Blush, navy and gold. Trust me, I was really trying to not love this color palette because it is so popular, but I couldn’t steer away from it. The best thing with this color palette is its versatility. You can make it completely your own by adding rustic, beach or vintage elements. Also, these colors are suitable for any season! What advice resonated with me most was: there are no rules! It is your day, bottom line. At our wedding I had two maid of honors: my childhood best friend and best friend I met in college. Also, we didn’t want a garter or flower toss, so it wasn’t done. You don’t have to do anything that you and your fiancé don’t want to do just because it is often viewed as traditional to do so.